It says a signal from a Japanese vessel, the Nishin Maru, was picked up travelling on a northerly course from the Southern Ocean, with its destination set for Japan. Sea Shepherd Captain Siddharth Chakravarty also gave an audio interview about the retreat to SBS, saying that they are "very confident" that the whalers are heading home. 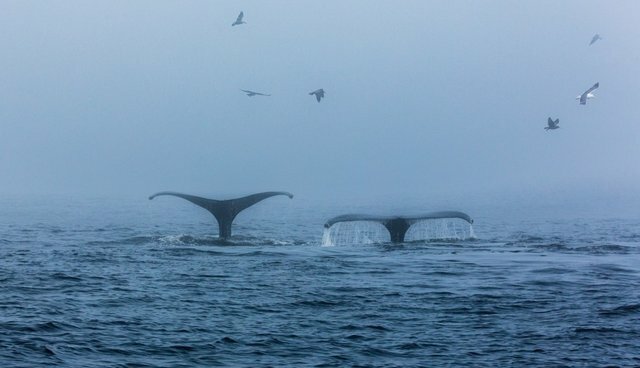 Chakravarty said that that the quota of whales taken will not be officially known for a few weeks, but that they didn't get more than 200 or 250 whales this season -- largely, he says, because of the dogged pursuit by activists that caused them to repeatedly suspend their whaling and move to another location, wasting fuel and time.